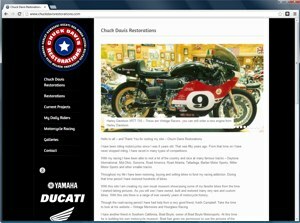 Chuck Davis Restorations is a website dedicated to a locally born and raised motorcycle builder and restorer named Chuck Davis. I had the honor of building a site for him showcasing the projects he has done as well as the projects he is currently working on. Chuck was looking for a content management system as eventually he would like to take the site over on his own and be able to add his own content. As always I recommend WordPress when it comes to CMS. We settled on a great skin with some left hand navigation as opposed to main navigation across the top as most sites are, and I have to say I really think it turned out pretty cool. This skin also had some very cool picture galleries which where necessary for this type of build, as overall if you look at the content it has a tendency to be picture based as opposed to static text based. There was one major change I had to make to the core functionality of the WordPress skin that is utilized here. 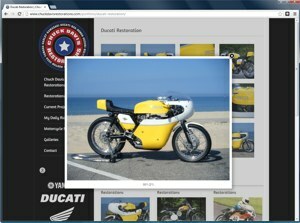 They where using Lightbox within the skin for the photos without the ability to scroll from picture to picture. Why they would have it set that way by default is beyond me, but I had to find a workaround. I found a Fancybox plug-in that worked nice and then had to roll through the functions to find where the original was being called and turn it off. Took a little while to find but I was able to do it and the final result looks great. 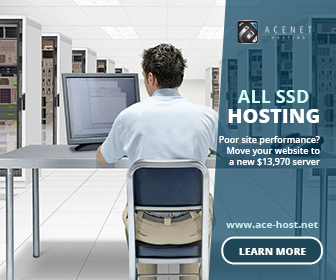 I love the site and I find Chuck to be a great client who is very easy to work with.